Check out The Last Winter opening this week. 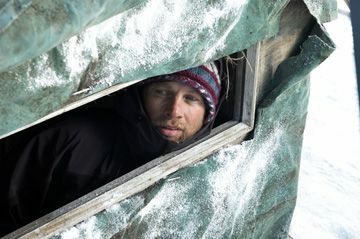 I admit to being a fan of directorâs Larry Fessendenâs artful, eerie, terror tales (Wendigo, Habit), and his new slice of strangeness takes place at a remote Alaskan outpost where a team is investigating the readiness for oil drilling while the drastic climate changes and the increasingly alarming behavior of the crew suggest that thereâs âsomething off." Ron Perlman plays the blustery macho boss desperate to get the project rolling who locks horns with an ecological investigator (the always terrific James LeGross). But when mysterious deaths begin to occur it does seem to suggest something supernatural might be rising from the earth. I suppose this can be called environmental horror, or An Inconvenient Spook. 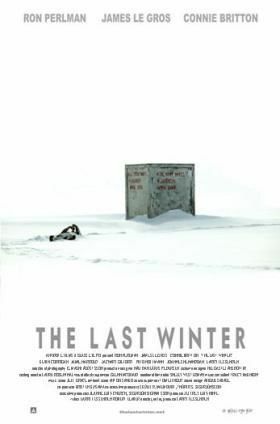 But Fessenden does wonders with fluid camerawork and music creating the mood of isolation and shifting moods of the crew in this this icy wilderness. When the terror kicks itâs wonderfully disorienting and creepy. A darkly poetic apocalyptic chiller that proves âitâs not nice to fool Mother Nature."